1.Collection of native and network paths vray mesh file. 2.Quick Select lost vray mesh file model. 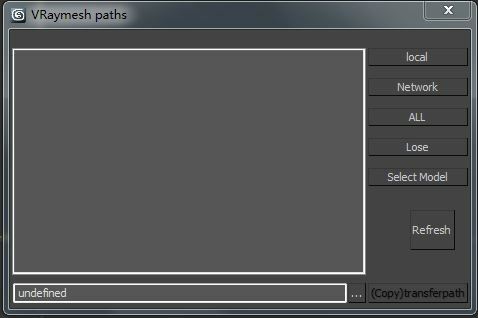 3.Rapid collection copy transfer VRaymesh file path.